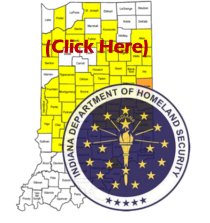 The Jasper County Detention Center has changed commissary procedures as of April, 2016. Please take notice of this new process when applying funds to inmate commissary accounts. Funds may be placed on an inmate's commissary account ONLY after their initial court hearing. Funds may be deposited at the Jasper County Sheriff's Office using the JailATM Kiosk located in the lobby. The JailATM Kiosk will accept Cash or Credit Card deposits into the inmate's commissary account. When making commissary deposits through US Postal Mail, the Jasper County Detention Center will ONLY accept Money Orders. Cash or Personal Checks WILL NOT be accepted or deposited. If you have questions concerning the commissary procedures, please call 219-866-4993. Funds may be placed on an inmate's phone account at the Jasper County Sheriff's Office by using the Combined Public Communications Kiosk located in the lobby. Inmate's may also choose to add funds to their phone accounts through the jail's commissary. If you have questions concerning the inmate calling card procedures, please call 219-866-4993. Inmates may only receive visitation after their initial court hearing or are serving more than 10 actual days at the Jasper County Detention Center. A visitation sheet will be completed by the inmate listing individuals allowed to visit. Individuals that are not listed will not be granted visitation with the inmate. All approved visitors must provide a photo ID and must be at least 18 years of age, unless accompanied by a legal guardian. To make a visitation appointment, please call 219-866-4993 between the hours of 9:00 AM and 11:00 AM CST or 1:00 PM and 3:00 PM CST the day prior to your requested visit. The inmate will be allowed only (1) 20 minute visit per visitation day. If you have questions concerning visitation procedures, please call 219-866-4993.